Following the opening of W Bali – Seminyak in 2010, W Hotels Worldwide announced the signing of their second W Escape playground in Bali. Developed in partnership with Indonesia’s Ruang Teknik Group, W Bali – Ubud is expected to open in 2020. Nestled on a majestic hilltop, set towards the sunrise to the east and overlooking the mesmerising views of the Tanggayuda Valley, W Bali – Ubud will present multifaceted, innovative art and design to the tranquil Ubud experience. W Bali – Ubud will be introducing the brand’s signature Whatever/Whenever® service and unique programming to the cultural hub of Bali. 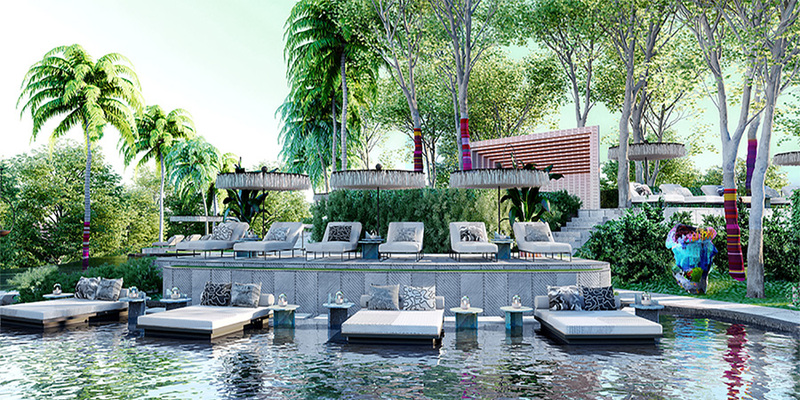 The hotel will be an immersive experience that caters to all of guests’ needs, from early morning hilltop yoga sessions to late night dancing under the glistening stars, every moment spent at W Bali – Ubud will be a memorable experience. Offering an impressive 100 guestrooms, including 10 villas with private swimming pools and an EWOW suite, W Bali – Ubud is designed with social, historical and physical influences of Balinese culture, and incorporates elements of them within each rooms and facilities. 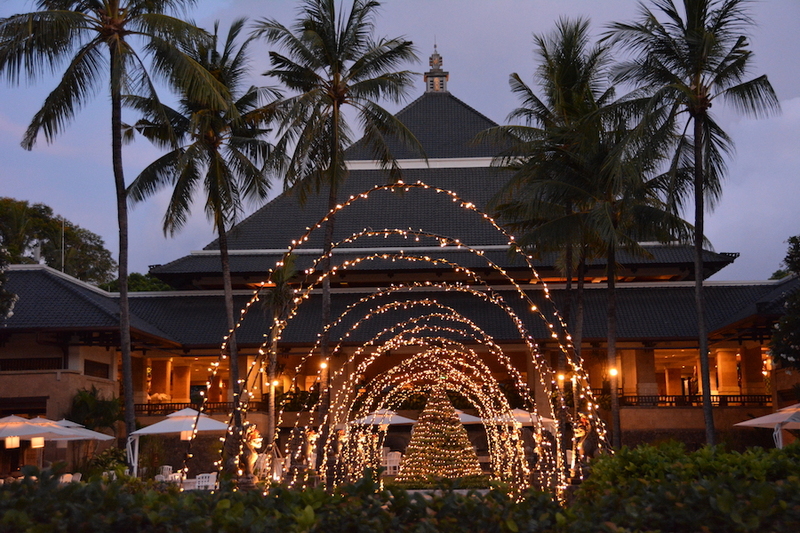 The interiors are decorated with contemporary takes of traditional Balinese art from local artists. Dining destinations at the hotel will include Morinda, a stylish all-day dining venue serving traditional Asian cuisine combined with international influences, and Synn, a unique, partially underground specialty restaurant that focuses on Balinese and international cuisines. Guests can detox and retox at the FIT (gym) bar, a pressed juice bar by day that transforms into a high-energy bar at night. Delight in the 360° views of the surrounding hills at Wanderbar, the panoramic cocktail bar located at the highest point of the hotel. Guests can unwind at the hotel’s recreational facilities including the WET Deck (pool deck) which features terraced pools inspired by the terraced rice fields in Bali, and another swimming pool designated for a quieter downtime. Guests can also witness some of the most stunning views on the island at the poolside Sunset Bar. Those seeking for relaxation and rejuvenation can head to W Bali – Ubud’s signature AWAY® Spa by W Hotels, which features an expansive open social deck where guests can leisure in locally-infused treatments. The hotel can also accommodate large events such as meetings and weddings at their 176sqm event space which features bright natural lighting and outdoor lawn spaces. “Ubud is a hidden destination like no other, where legends and nature intertwine with everyday life to create a magical sense of adventure. 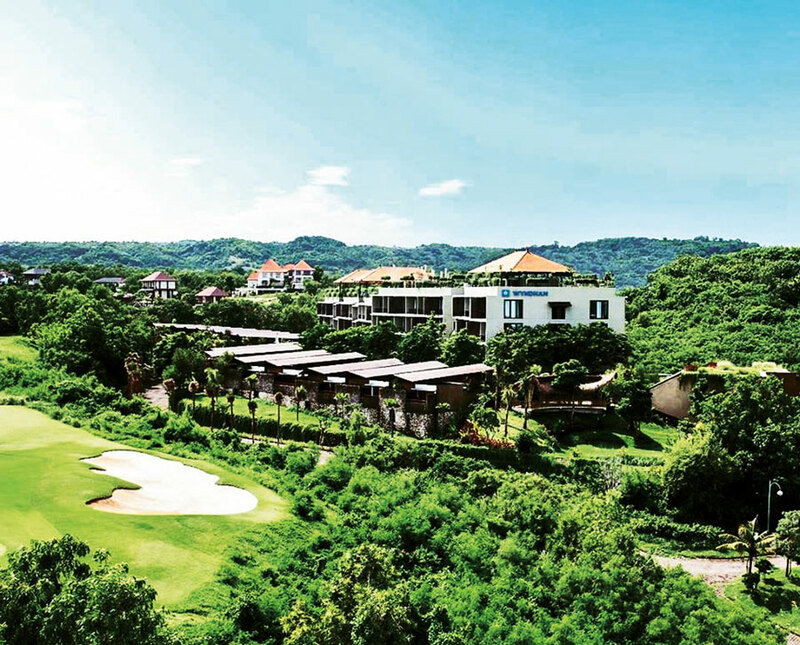 W Bali – Ubud is an exciting next step for us. We are applying a unique, vibrant sensibility to this hotel, one that has not been seen before on the island. W Bali – Ubud will combine the brand’s boundary-breaking approach to design with the rich cultural, spiritual and artistic influences of Ubud to show off the best of this incredible locale and all we’ve learned in the decade since W debuted in Indonesia,” said Anthony Ingham, Global Brand Leader of W Hotels Worldwide.